Indonesian authorities have extended by three days the search for victims and a black box from the wreckage of a Lion Air passenger jet that crashed near Jakarta last week, killing all 189 people on board. "We decided to extend it three days", beginning on Monday, search and rescue agency (Basarnas) chief Muhammad Syaugi told a news conference. The decision was based on an evaluation and observations of the crash site, he told reporters, noting that many victims' remains had not been recovered. A total of 105 body bags, few containing intact remains, had been recovered and handed to police for forensic identification, yet only 14 victims have been identified so far. "I'm sure the total will increase," Mr Syaugi said. The agency is prioritising recovering remains of victims and the cockpit voice recorder (CVR), the second of two black boxes from the Boeing 737 MAX that crashed into the sea early on Monday, 13 minutes after it took off from Jakarta. The head of Indonesia's transportation safety committee (KNKT) said 69 hours of recorded data from 19 flights, including the one that crashed, had been downloaded successfully from a partly damaged flight data recorder recovered on Thursday. "Now we are choosing which parameters we need. From here we will analyse what happened to that flight," Nurcahyo Utomo told reporters. Analysis of the data and a recovered aircraft landing gear and engine will begin on Monday and information will be passed to police if needed, Mr Utomo said. "Of course, this won't be completed in one or two days," he added. 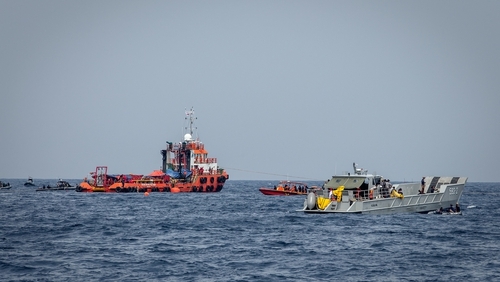 Meanwhile, divers searching for the cockpit voice recorder have been homing in on ping signals. "Yesterday there was a fairly strong signal. Today a dive was conducted - there was a signal but it was weak, quite possibly because of the mud," he said. He noted that the flight data recorder had been found buried in half a metre of mud. The second black box is thought to be around 50 metres from the main search area, where the water is only 30m deep, but ocean currents and mud on the sea bed that is over a metre deep have complicated search efforts.